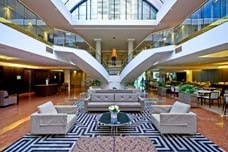 This week, BEN and Novotel Sydney Parramatta are giving you the chance to win an overnight stay for two in a luxurious Superior King room and a buffet breakfast in Two Forks restaurant. Wet ‘n’ Wild and many others just moments away. CONGRATULATIONS to Holly Scully from Orchard, who was the lucky winner!